Life in a comic book shop is ripe for comedic exploration. Aside from the wacky conversations that are specific to comics geeks, there are the only-in-retail scenarios and tensions that arise in a small business, especially one that employs Gen X/Y employees. 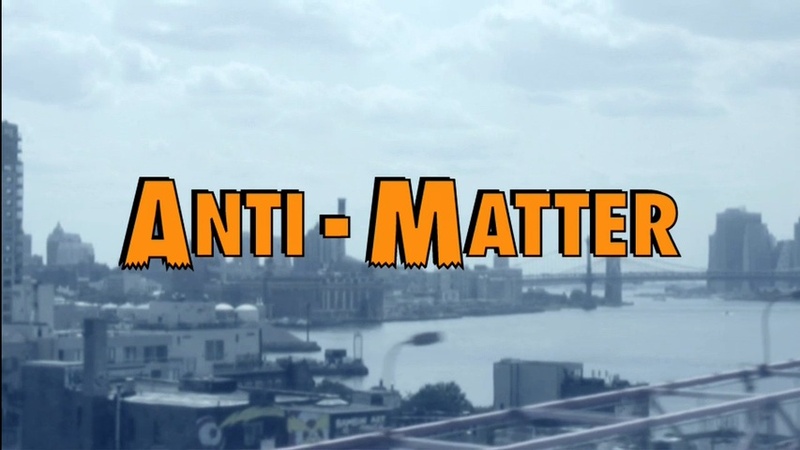 For people who visit an LCS every Wednesday, the awesome Anti-Matter web series is essential viewing. It’s a funny (sometimes bitingly so) comedy that takes place a New York comic book shop, and the characters are oh-so true to life. E. talked to the show’s writer/director Chris Walker, a former comics colorist for Marvel and DC, about all things Anti-Matter, and why it resonates with people who own longboxes. G3: I love the old-school opening of Anti-Matter. It reminded me of classic TV shows like “Taxi.” Was that intentional? Chris Walker: Thanks. It’s cool you were able to pick it up. It’s a homage to the old workplace comedies of ‘70s like “Taxi,” WKRP,” “Welcome Back Kotter.” They are a big influence on the show, which is especially apparent in the opening. G3: You’ve obviously spent a lot of time in comics shops. 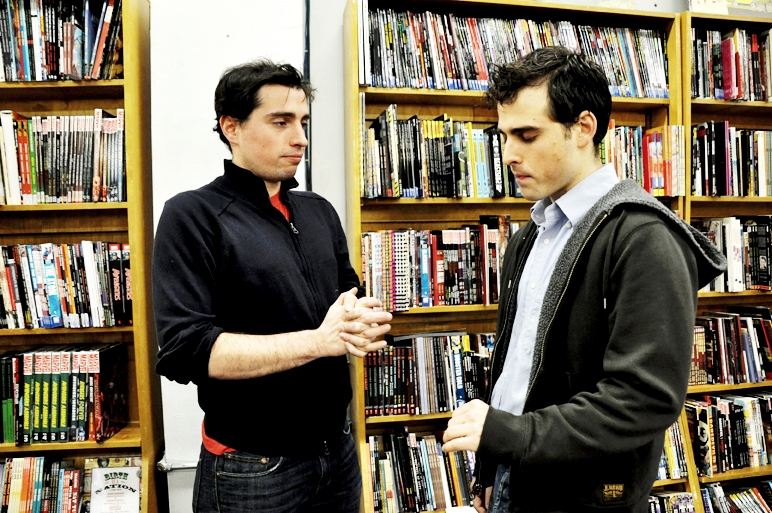 How did the idea for a web series about comic book geeks come about? It’s a very specific slice of life, but that’s what makes it funny. I swear, it looks just like my LCS! CW: Ha! That’s why I love Hanley’s, it has a classic comic store feel to it. Very nostalgic.The series came about from thinking of ideas for comedies. I wanted to transition from a colorist to a comedy writer/director. I went through various ideas for projects and I thought, “Well, I know one thing that’s funny — the hijinks and conversations that go on at your local comic store!” They say write what you know, so I did! G3: What kind of feedback have you gotten? I’m curious about what the response from non-geeks has been, too. CW: People really like the show. Sometimes it takes a second or two to get into the series because it’s a little different from other webseries. It’s straight ahead, not too over the top, and episodic rather than serial. The general expectation of “comic book show” is zany and weird, but when people watch it , they’re like, “Oohhhhh that’s funny!” Non-geeks seem to enjoy it just as much as comic fans. The series hits many “comic nerd” high notes that diehard fans enjoy, while also taking a humorous look at friendship and the transition to adulthood, which is universal. G3: Tell us about the cast. They’re naturals, and very believable as longtime acquaintances. Are they professional actors, buddies or both? Are the characters based on real people that you know? CW: I love my cast. They are such a talented bunch, and I feel very lucky to work with them. The joy of working with them kept my spirits high throughout the entire process. They are all professional actors and comedians. You’d think we’d known each other for a long time, but I met all of them through casting sessions. The fact that most people think the cast and I have been friends since the sandbox underscores their talent. I met most of them I met through an e-mail blast sent out to the Upright Citizen’s Brigade mailing list. The turnout was fantastic. In fact, I actually created a several new characters because of how impressed I was by their auditions. G3: Do you have a favorite episode? The Kung-Fu piece with Jeremy and Dennis made me laugh out loud, and I don’t even play video games. CW: My favorite episode is “Entourage,” which will be the last episode of the season. I think you’ll really enjoy it since you liked Kung-Fu. It teams up Dennis and Jeremy for more comic buddy antics. One thing I enjoy about the series is the comedy mix. Depending on who’s onscreen, the comedy could range from witty to hare-brained, but it all has the context of “happening at the store,”so it feels believable. G3: Since there are a ton of comics shops in New York City, what made you choose Jim Hanley’s Universe? Is that where you get your weekly Wednesday fix? CW: I wanted an old school comic feel. I like the new shops, but Hanley’s really seems like the kind of place where you can go to chew the fat with other fans. It has a very “Cheers” feel to it. I’ll pop in to say hello to the guys and see what new stuff is out. I encourage everyone if they are in New York to go in and say hello to the staff. They are super friendly and know their comics. G3: What are your favorite comic books right now? CW: A friend of mine, an artist named Shake, has a book called Infex that’s really cool. I’m also a big fan of Chris DiBari and his work at Top Cow. I’m enjoying Top Cow’s mix of genre, fantasy, heroes and sci-fi. 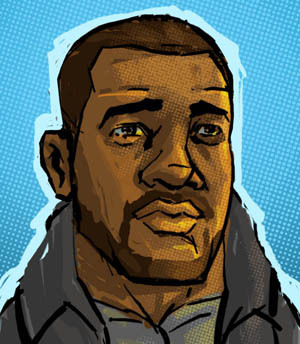 I’m also a big fan of anything Brandon Graham puts out. G3: Do you plan to keep the episodes short, or is it possible that we’ll see an Anti-Matter expansion? How often do you post new webisodes? CW: I like the short episode format. In the future we might extend to a 10-minute format, with two plot lines happening in the same episode like an traditional sitcom. I would love to create little 30 to 45-second character vignettes that let the audience know more about their favorite character. We try to put up new episodes bi-weekly. We have three more episodes until the end of Season One. The next episode is planned for Jan. 15. G3: Any upcoming developments/episodes you’re excited about? CW: I’m in talks to do a next season, which would be great. I’m excited the series is gaining an audience and have more stories to tell. I’d love to spin off MacKenzie and Kayla to explore the whole geek girl phenomena. Fangirls have always been a large part of comics, so for me, this movement is long overdue. I think it would be a lot of fun to create a show based on their day-to-day geek girl experiences.